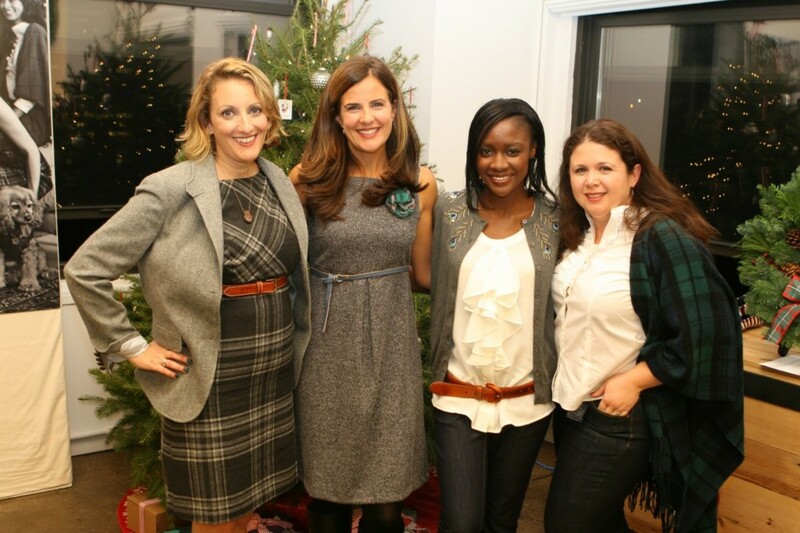 This week we hosted a night of fashion and fun with Lands&apos; End and KickboardUSA. Our mission to show off the top holiday trends and have a bit of fun. We worked with the stylists at Lands&apos; End to put together three looks for our blogger models and I got to pick a hostess outfit. Check out how hot our models look! 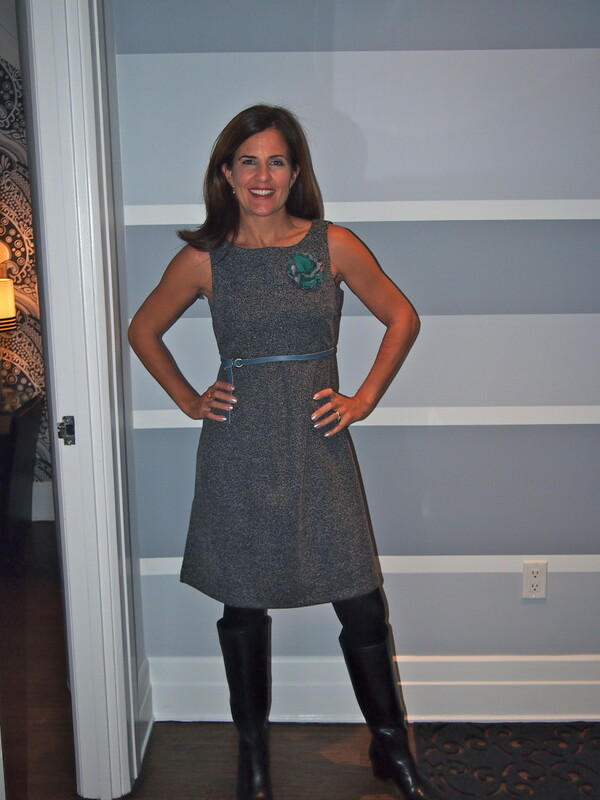 From cashmere wraps to chic riding boots we were able to dress these moms from head to toe on Lands&apos; End looks that are sure to turn heads at parties. Read all about the event here. The belt and pin are also from the Lands&apos;?? End Accessory Collection. The blue belt is an unexpected color&apos;??that&apos;? ?s what makes it so cool. 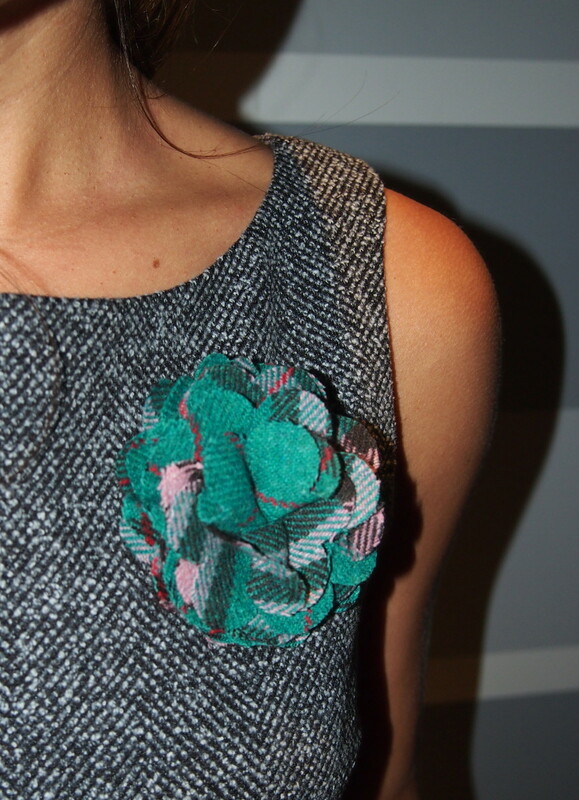 The plaid Tartan Pin ($19.50) is such a fun touch. It doesn&apos;? ?t scream HOLIDAY, yet it is festive and fun. An inexpensive way to give a boost to something already in your closet perhaps? How about this pin on a tweed blazer? Lands&apos; End offers the pin in three colors--we bet there&apos;s a great match for something in your closet. And let&apos;? ?s not forget about footwear. I love pairing riding boots with tweed. My equestrian-heavy days at Ralph Lauren gave me a hankering for pairing boots with just about everything in my closet. Don&apos;? ?t think they can only be worn with jeans or leggings. Add a matching tight and wear your boots with all your dresses this holiday. Our favorite pair from the Lands&apos; End line is this Diana Low Heel Boot ($168)--so versatile. For more fashion fun visit my partners in stopping crimes against fashion Glamamom & the Bonbonrosegirls. Each week we hot a fashionable linky and usually there are fab prizes. This week swing on over to Glamamom for a chance to show off your style!